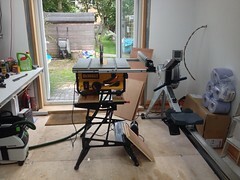 DEWALT Table Saw. DW745. Awesome Machine! DEWALT Compact Job Site Table Saw delivers powerful rip-cutting performance. Features a lightweight design for easy transportation.